Quick breads are easy to prepare and bake, and they make a fabulous sweet breakfast or snack bread. Or serve the bread slices as a dessert. You can jazz a quick bread up with a dessert sauce or icing, or serve it warm with a scoop of ice cream. When preparing the batter for a quick bread or muffins, combine and mix the dry ingredients thoroughly and then mix the wet ingredients in a separate bowl. Make sure you have your oven preheated and pans greased and ready. The instant the dry ingredients are mixed with the wet mixture, the baking soda and baking powder begin their work, so get it into the pans and oven as quickly as possible. Mix the batter gently and don't worry about little lumps; an overmixed batter will result in a dense bread. If you use self-rising flour in a quick bread recipe, omit the baking powder and salt. Peanut butter powder, chopped peanuts, and mashed bananas flavor this amazing peanut butter chocolate chip banana bread. 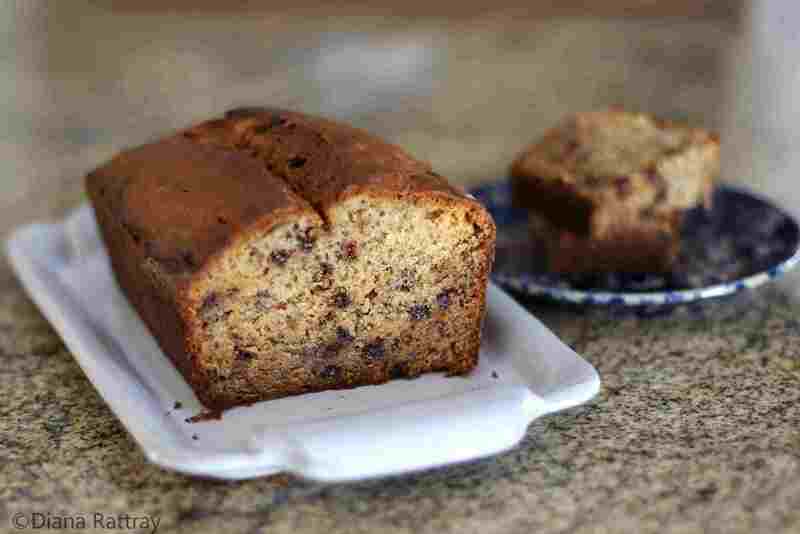 This moist banana bread makes a fantastic the perfect snack or breakfast bread. Bake this flavor-packed moist Georgia peach bread and you'll be rewarded with praise. Make a peach and cream cheese spread if you want to take it to the next level. 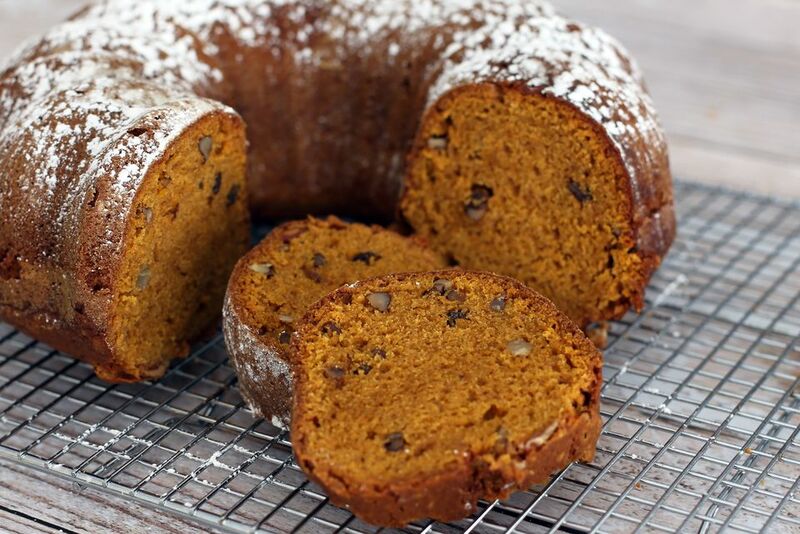 A Bundt cake pan makes this big, moist spiced pumpkin bread attractive, and it is packed with flavor. Serve it as a breakfast bread with cream cheese or butter or jazz it up with a sauce or whipped cream and serve it as a dessert. A sweetened cream cheese layer in the center elevates this extra-special moist pumpkin bread with cream cheese filling. The recipe makes two loaves, one to enjoy now and one to freeze for later. Crushed pineapple and a cinnamon and pecan topping make this pineapple nut bread stand out. Replace the pecans or walnuts with macadamia nuts if you have them. Orange juice and dates add flavor and texture to this moist orange date bread. Add some chopped pecans or walnuts to the quick bread if you'd like. Sour cream, dried cranberries, orange zest, and optional chopped walnuts or pecans that make this orange-cranberry zucchini bread moist and full of flavor. This moist peach cobbler bread tastes like a peach cobbler in a loaf! A layer of sliced peaches tops the loaf, making it extra moist and attractive. Sprinkle cinnamon sugar over the loaf just before it goes into the oven. This lightly spiced, classic zucchini bread includes walnuts, shredded zucchini, vegetable oil, and cinnamon. Feel free to make the bread with chopped pecans. Keep shredded zucchini in the freezer so you can enjoy this quick bread any time of the year. Serve this popular banana nut bread with a cream cheese spread or flavored butter if you'd like. And feel free to add some chocolate chips or toffee bits to the batter for something a little different. This golden apricot nut bread bakes to a beautiful golden perfection. Apricots and pecans or walnuts give the loaf amazing texture and flavor. This moist blueberry sweet potato bread makes a wonderful snack for cool fall days. Use frozen or fresh blueberries in the bread. A thin vanilla icing glazes the loaf, which makes it an excellent dessert as well. Cranberry orange bread with orange icing makes this a cake-like dessert. Or top it off with a dusting of confectioners' sugar if you plan to serve it as a sweet breakfast or snack bread. This traditional classic oat bannock bread is a Scottish bread made with oats. It can be served as a savory bread by reducing the sugar. Or make it a bit sweeter if you like. Bake this tropical pineapple, coconut, and macadamia nut bread for a holiday or special occasion. The bread offers a combination of tropical ingredients, and it is surprisingly easy to prepare and bake. This whole wheat zucchini bread with spices includes applesauce that makes it extra-moist and flavorful. Serve the bread with maple butter ​or quick cinnamon butter. Chopped dates and oats add flavor and texture to this fabulous loaf of date and oat quick bread. Bake this sweet fresh fig bread for a special snack or breakfast. If you are lucky enough to have a fig tree in the backyard, make two loaves and freeze one for later.